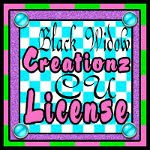 ♥ I Love Lucy DigiArt Designs ♥: Native November Tag Showoff! Just wanted to show off a tag I made with my FTU kit Native November, which you can get HERE and with the art of FourXDesigns which you can purchase HERE. If you use this tube, or any other tubes from http://www.fourxdesigns-store.com/ you must also have a license and display that on your finished creation.